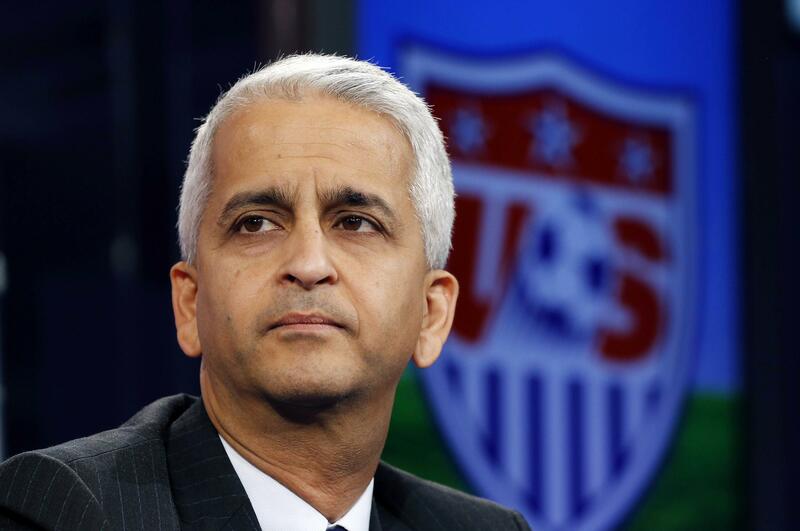 Mon., Dec. 4, 2017, 10:49 p.m.
NEW YORK – U.S. Soccer Federation president Sunil Gulati will not seek a fourth term, announcing his decision two months after the Americans failed to qualify for next year’s World Cup. Former national team players Paul Caligiuri, Eric Wynalda and Kyle Martino are among the candidates for the election in February. USSF vice president Carlos Cordeiro also is running, as are Boston lawyer Steve Gans, New York lawyer Michael Winograd and Paul LaPointe, Northeast Conference manager of the United Premier Soccer League. Kathy Carter, president of MLS’s marketing subsidiary Soccer United Marketing, is considering a bid. The 58-year-old Gulati, who announced his decision Monday, has been a driving force in the USSF for more than 30 years. He helped put together the successful bid that brought the 1994 World Cup to the U.S. and served as executive vice president and chief international officer of the U.S. organizers for the tournament. He also was deputy commissioner of Major League Soccer from its launch until 1999; and president of Kraft Soccer Properties, which operates the New England Revolution of MLS. Gulati was a unanimous pick in March 2006 to succeed Bob Contiguglia, who served two terms. Gulati replaced Chuck Blazer on FIFA’s executive committee in 2013 and continues to serve on the renamed FIFA Council. He also is chairman of the joint U.S-Mexico-Canada bid committee hoping FIFA will pick North America to host the 2026 World Cup. Published: Dec. 4, 2017, 10:49 p.m.